Delicate filigree petals are hand painted subtle shades of rose and antique gold. 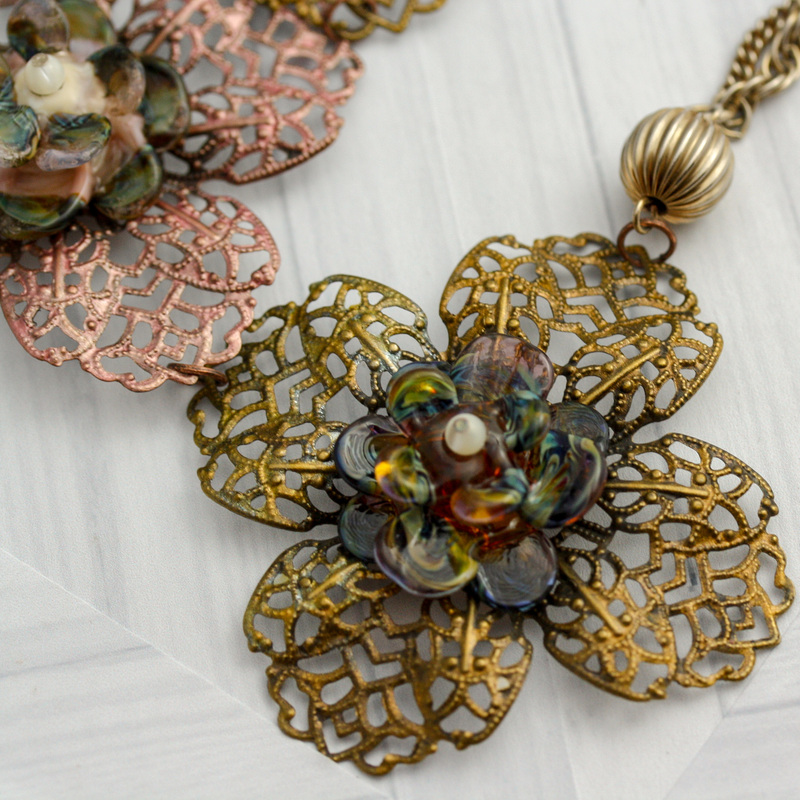 The centers of each bloom are handmade lampwork glass flowers, shaped layers of tiny ombre blades glistening like frost covered buds with mother of pearl seeds. This 16″ necklace is a show stopper, light yet strong in style. Two soft gold chains suspend the piece with a magnetic closure at back.